If you stay away from artificial ingredients in your food, shouldn’t you do the same for your backyard wildlife? 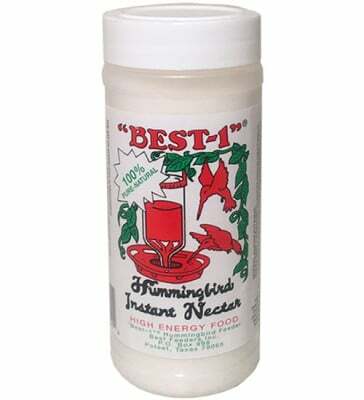 Best-1 Hummingbird Nectar contains no artificial color, flavor or preservatives, leaving the hummers who visit your feeder satisfied and healthy. 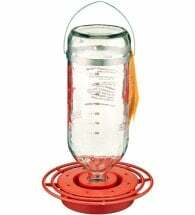 Available in a 14oz resealable container. Early in the season, or for first time owners, we recommend partially filling your feeder until the birds volume of consumption is determined. 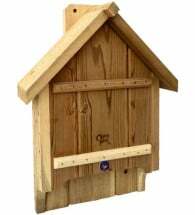 This classic design is hand-crafted in Bozeman, Montana using premium cedar wood. 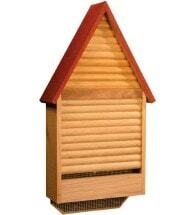 Provides a friendly shelter for these misunderstood insect eaters on the fly! 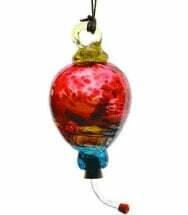 These glass blown orbs are adorned with a magnificent and impressive array of color.